About 95 percent of people around the world suffer from severe headaches. Most of us attribute it to stress, diet issues, bad lifestyle or medical problems. 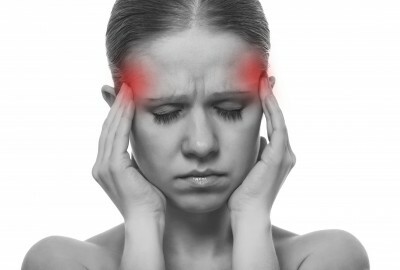 Medical issues like sinusitis, or eye or dental related issues can also be the cause of headaches. Unknown to most of us, headaches and bad ones, are also caused by migraines. All said and done they are not the major cause for headaches. Majority of the headaches are cervicogenic headaches. Cervicogenic headaches are described as those that originate from internal structures of the neck. Surprised, but true! Medical practitioners feel that the neck is the most important part of the body as it is the punching zone that bears the body’s overall tension. Looking down while working for long hours, reading, bad posture put undue pressure on the neck. It is difficult to diagnose cervicogenic headaches. Medical practitioners determine it from the complaint and the source of the pain. One suffering from cervicogenic headaches complain of various symptoms. They include nausea and severe, stabbing, throbbing and pounding pain originating from the neck area up to the head. The pain is intense in nature and feels like the head is almost going to explode. Cervicogenic headaches may be intense but can be treated. Physical therapy is the answer to such headaches. You may also be required to contact a spine therapist who can go into the root of the problem and suggest the necessary medications. Sometimes one may also be required to consult a neurologist. Often medications for such headaches come in the form of drugs that are injected. It is necessary to administer the injectable medications with utmost care and at proper joints and with the help of skilled medical professionals. This should be done under an x-ray and not like any regular injections. With that said one is also required to maintain a healthy lifestyle with a proper diet and plenty of sleep to avoid cervicogenic headaches. Though we are so prone to stress and strain, try to relive yourself and adhere to a simple de-stressing and an exercise routine.